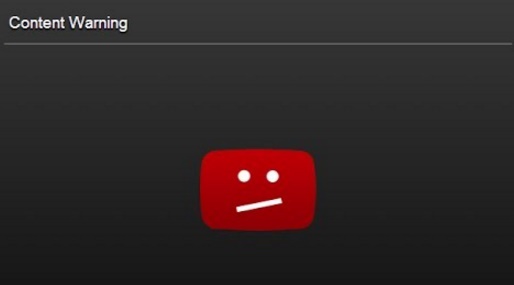 In YouTube there are several videos which are age restricted and not recommended for users below the age of 18. Watching an age restricted video is permitted to users who are 18 years old or more. But the simple trick is that anyone can forge the age and create an email address and then watch such videos. So YouTube’s flat guidelines cannot refrain teens from watching such videos. there is another trick by which users can watch any age restricted video just by modifying the YouTube video URL. So a better option is to activate parental controls in YouTube. YouTube has a dedicated app for kids. With the help of the YouTube aoo for kids, parents can control which content should be allowed to watch to their kids. But as of now, we will show you a neat trick by which you can manipulate YouTube and watch any age restricted video without signing in. So users must make note that there are several ways by which you can fool be fooled. The URL of an age-restricted URL has the same structure. It consists of the the main domain name, followed by ‘watch?v=’ and then by the video’s unique ID i.e. the series of random letters and numbers. The video URL I have shared is an educational video. But it applies for age restricted videos. So adult or parent users must be aware of such tricks and act accordingly.